Matthews Environmental Solutions’ waste incineration technology is in constant demand across the entire world and is specified to provide the widest range of incineration and cremation tasks you can imagine. 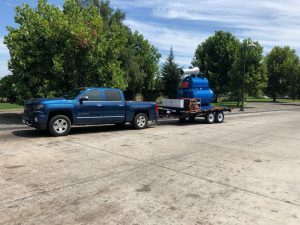 This latest mobile incinerator, however, that has recently been shipped and commissioned in the Northern region of Chile, has been chosen for the destruction of a very specific range of what can only be described as hazardous waste material – namely narcotics, drugs and expired medications. The Surefire® 50 incinerator, one of our most in-demand and most versatile models from within our world renowned Surefire® range, was manufactured at our Apopka, Florida workshops in the USA to match the specific requirements of our customer. The project was initiated and managed by our Director for Latin America – Marcelo Baptista – who is heading up our increasingly successful presence in the region. 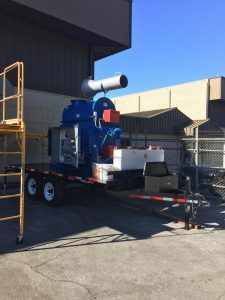 The Surefire® incinerator was designed and engineered in our workshops and was then specially adapted as an easy to transport mobile unit so that it can adopt a much needed roving role to match our client’s diverse needs in the destruction of this hazardous waste. Our client in Latin America is Incineración General de Basura y Residuos SPA (we call them INGEBRAS). They are located in La Serena, which is in the North of Chile and this hugely popular and successful Matthews incinerator is now ready to fulfill its vital role in helping to effectively, efficiently and environmentally responsibly destroy the huge quantities of narcotics, drugs and expired medications. 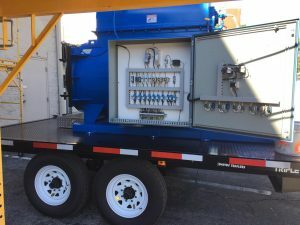 Although this is the very first incinerator of its type in the region – especially a mobile configuration – INGREBAS have informed us that they are fully confident that they will be commissioning further equipment from us in the near future to perform similar hazardous waste destruction services for other municipalities. Thanks to the efforts of our Director, Marcelo Baptista, the rest of our team and of course the unrivalled reputation and performance of the Matthews’ waste incineration range, we are confident that our business opportunities in Latin America will continue to develop. If you would like to discuss your waste incineration requirements, no matter whereabouts in the world you may be located, please do not hesitate to contact us. You can call us on +44 (0)161 337 4488. You can also email us at: sales@matwuk.com or you can also send us an online message using the form that can be found on our Contact page.